So our big news of the week is that number 2 is on its merry way. We had an ultrasound today to make sure I was not having twins...YIKES. I am carrying this baby even higher than Amelia, so the Dr wanted to take a peek. The ultrasound tech said it could be a boy but is still too early to be definitive. 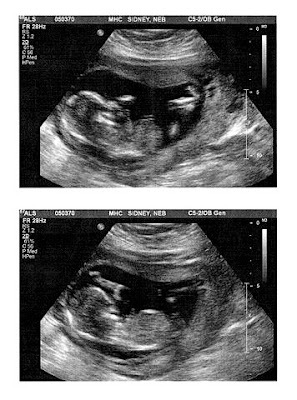 I think it is a boy because morning sickness lasted a lot longer than with Amelia, which morning sickness was violent but lasted only 6 weeks. This one lasted 14 weeks. I had scheduled pukings at 7:30 pm for about a month. Amelia also learned to imitate barfing noises, much to my chagrin. Justin was working all this time so he missed out on most of my ornery-ness. We went on on Wednesday thinking the Dr would do the ultrasound then, but he made us an appt for today. 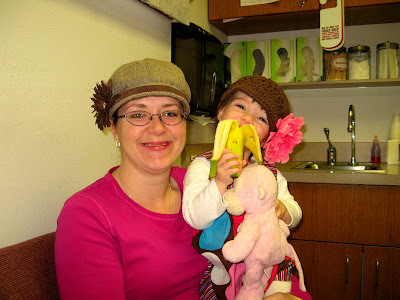 Amelia was so cute at the Dr office. Finally it was someone else's turn to get poked besides her. 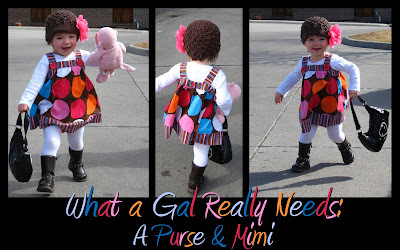 She delighted the Dr by sharing her Mimi and purse contents. She also sang Twinkle, Twinkle Little Star! Out in the parking lot she was running along with purse in one hand and Mimi in the other. The image seemed so idyllic that I HAD to take some pictures. Today the tech gave us a due date of 25 August 2009, which was close to my prediction of 30 August 209. If this one is as late as Amelia my date will be the winner. 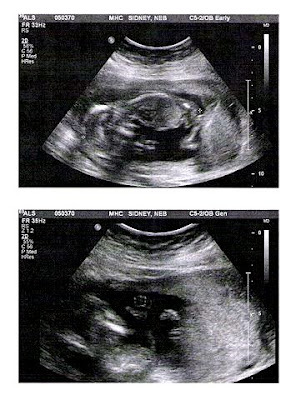 During the ultrasound the baby was moving and grooving. Amelia was a sedate little fetus, this one is hyped up on goof balls already. It kept flipping around causing the tech some troubles measuring what needed to be measured. In the end we got some fun shots of the baby giving a high five and stretching legs. Bottom: Give me a whoot-whoot! !